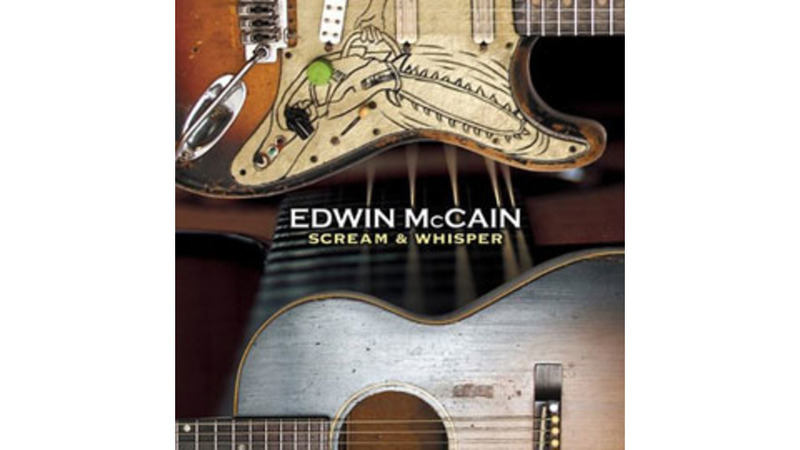 Coming of age in the Southern bar-band and frat-rock scene, Edwin McCain knows how to deliver a tune. His aching tenor works best when served up raw, brimming with unfiltered emotion. For this reason, Scream and Whisper disappoints, leaving behind the tasty roots rock he seemed on a mission to perfect for an album suffocating beneath a thick coat of Turtle Wax guitar pop. As usual, McCain’s melodies are far better than his lyrics. On “Shooting Stars,” he consults the Dr. Seuss playbook, rhyming “bling bling” with “things,” “rings” and “sting.” That said, the writing on Scream And Whisper definitely suggests some soul-searching in the wake of his being dropped from former label Lava/Atlantic. Songs like “Coming Down” and “Turning Around” speak of his fall from mainstream grace: “I said goodbye to ego and the shame / There’s no use in hiding in that fame.” He also sings of vampires who no longer afford him the respect they once did (perhaps referring to a few vein-sucking industry types). But Scream and Whisper fails to provide the contrast its title suggests, offering more of the same from McCain: Top-40 potential and exquisite vocals, albeit here a little over-glossed.